NeSpoon Polska isn’t just your every day spray-paint graffiti artist. The female street artist from Warsaw, Poland has her own unique brand of art that incorporates lace patterns. She uses stencils, ceramics, paints and sometimes even actual crocheted webbing to create her amazing street art masterpieces, and everything is a potential canvas. She refers to her art as “public jewelry”. You can check out more of NeSpoon’s work on her Behance profile. They call him the human camera. Stephen Wiltshire was born in London in 1974. As a child, Stephen was a mute. At the age of three he was diagnosed as autistic, and in that same year his father died in a motorcycle accident. At five he was sent to the Queensmill School for the autistic in London. The instructors there discovered that Stephen had an intense passion for art. 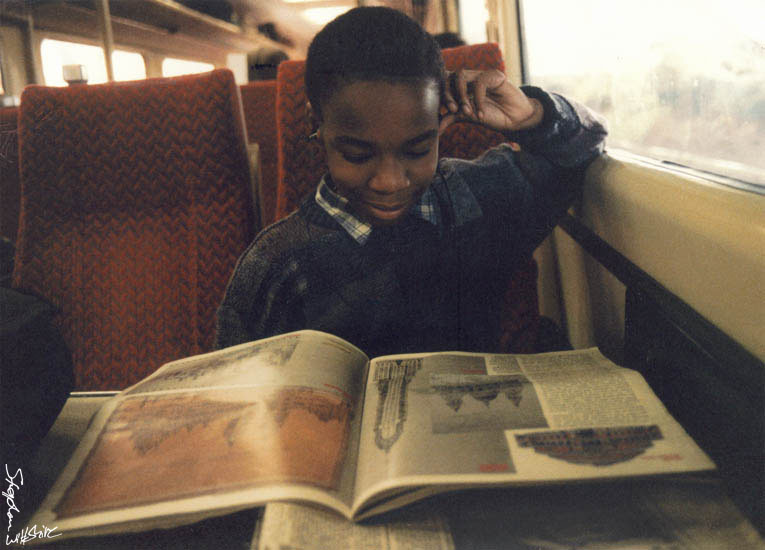 Even as a child, his skill and attention to detail was exceptional. They used this passion to help teach him to talk. Stephen was a mute, and avoided communication with others as much as possible. So his instructors at Queensmill would take away his art supplies when he wasn’t using them so that he was forced to communicate with them when he wanted to draw again. He started with just sounds, but eventually he said his first word: “paper”. He learned to speak fully at the age of nine. By that time, his passion for art was already extremely developed. His favorite subjects were American cars (he’s said to have an encyclopedic knowledge of them) and the buildings of London. During his time at Queensmill, Stephen’s instructors discovered that he had an extraordinary gift: he was able to reproduce extremely intricate sketches after seeing an image only once. As an adult, Stephen used this skill to jump-start his career as an architectural artist by flying over massive cities and then reproducing huge, elaborate sketches of the cities, down to the number of windows in each building and the clothes on clothing lines. I’ve gathered a few videos showcasing his mind-blowing talent. Enjoy! Stephen is what is known as an autistic savant. Autistic savants have damage to the left anterior lobe of the brain, which plays a key role in processing sensory input and forming memories. Because of this, they are able to access lower-level information like the extremely intricate details of buildings in Stephen’s works of art. This information actually exists in all of our brains, but it’s normally unavailable to our conscious awareness because our brains classify this information as superfluous or non-essential. However, studies and controversial experiments have proved that we can tap into these same talents by using transcranial magnetic stimulation: temporarily shutting down parts of the left anterior lobe using magnets. 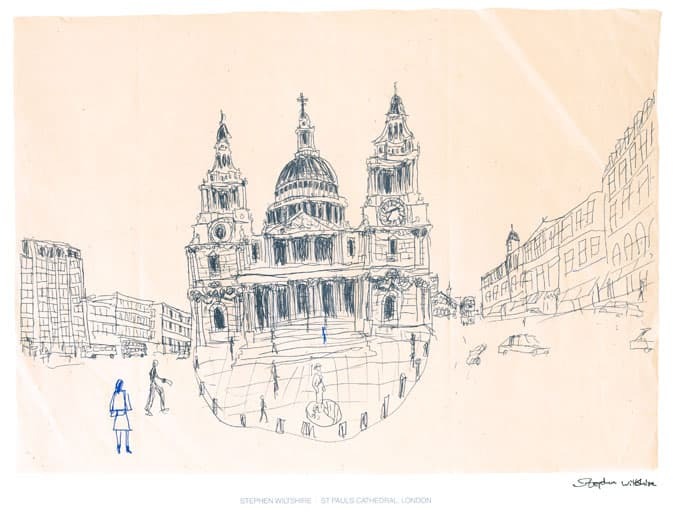 To view more of Stephen’s work and learn more about his life, you can visit his website, The Stephen Wiltshire Gallery. Street art is one of the more creative art forms around today. Because of its visibility, it is often used to make political or social statements, like the street art that emerged in Brazil before and during the World Cup. 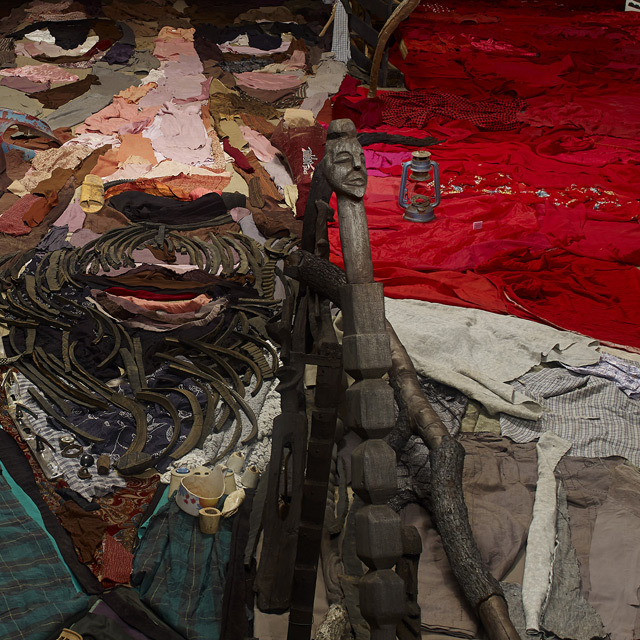 Bernard Pras is a French painter, photographer and sculptor with an amazing eye for perspective. His art style in called anamorposis. It involves creating a distorted projection that can only be correctly viewed from one specific angle. 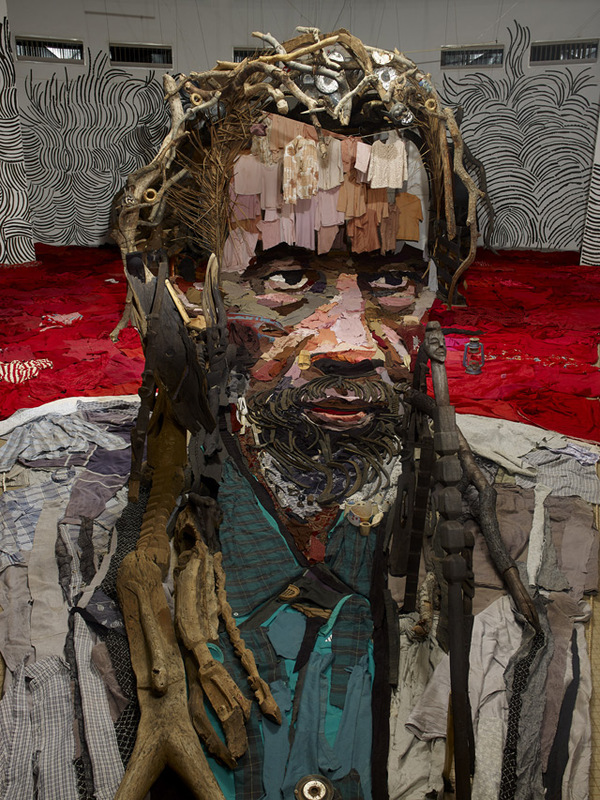 Pras is a master, using all kinds of random odds and ends to create images with stunning detail. Pras built the piece below as a memorial to Malian actor Sotigui Kouyaté (who played a major role in building a bridge between African and western culture) after he passed away in 2005. 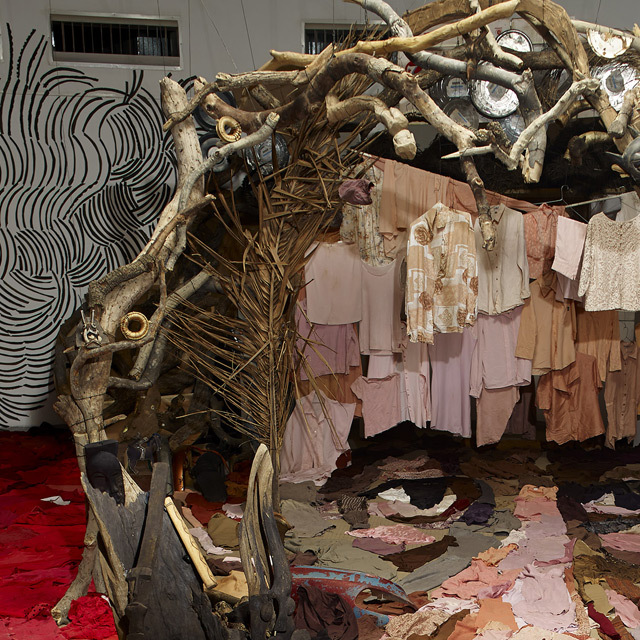 He used clothes, paint, wood, rubber, and a number of other random objects that he scavenged from the installation site. Check out more of Pras’s work below. Click an image to enlarge. You can view all of Pras’s gallery on his website here.